Heat index of 89F and 68% humidity for the last two days. So I put on my big boy pants, tied a bandana around my head and went to work in the shop. In short, it sucked! But I did manage to get the tops and shelves surfaced and fitted. After that I gave them a coat of dark brown Transtint dye. Transtint dye is alcohol based so it dried pretty fast. I guess that is one positive thing about the heat. Then I went to work with the polissoir. It worked pretty well on the red oak. The open grain is a little bit of an issue but not too bad. 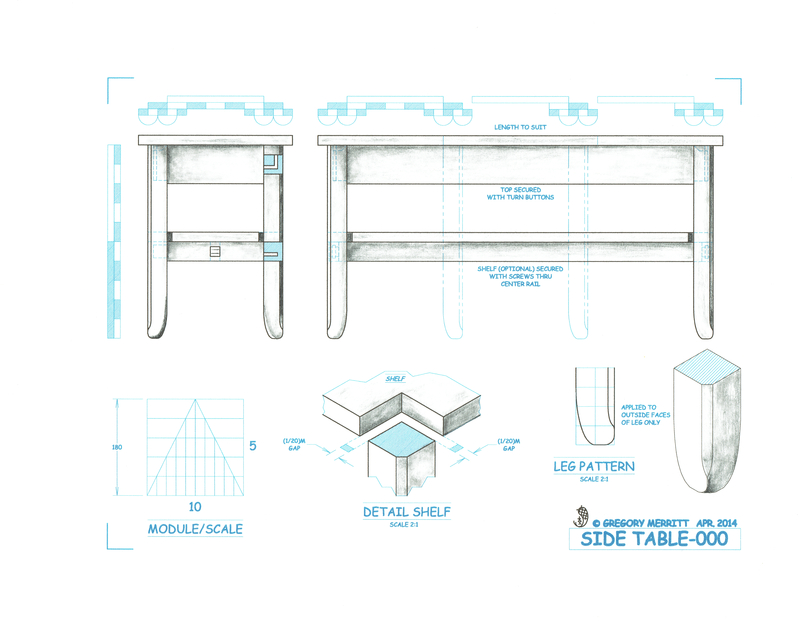 The top photo shows one of the tables mocked up. All of the parts still need a coat or two of wax. I also still need to make a couple dozen turn buttons for attaching the tops and shelves. 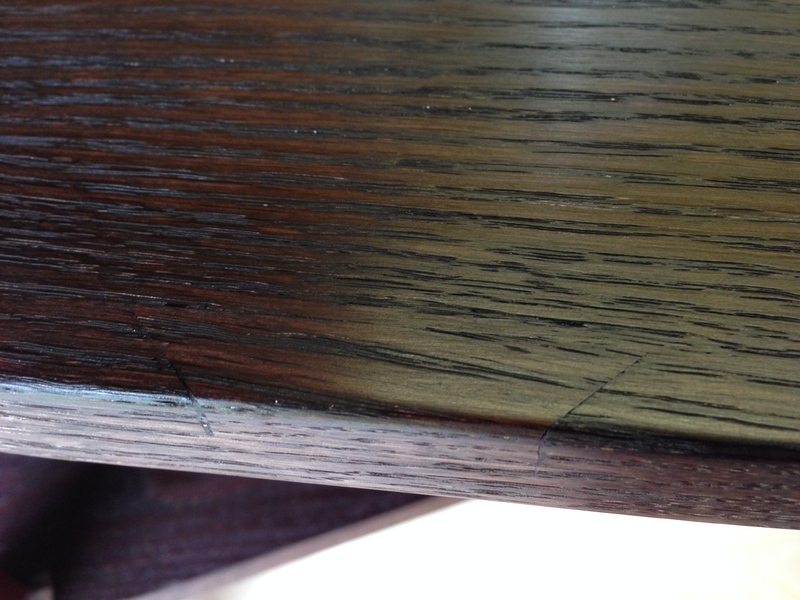 While ripping one of the tops to width, I hit some sort of void in the oak. I’ve never had this happen before, but it was a pretty big hole just below the surface. I should have taken a before photo but I was too worried about getting the patch in place. In any event the finished result didn’t turn out too bad. I’m close, really close, to finishing these tables. Other than the turn buttons, all the rest of the work can be done in my cool house. 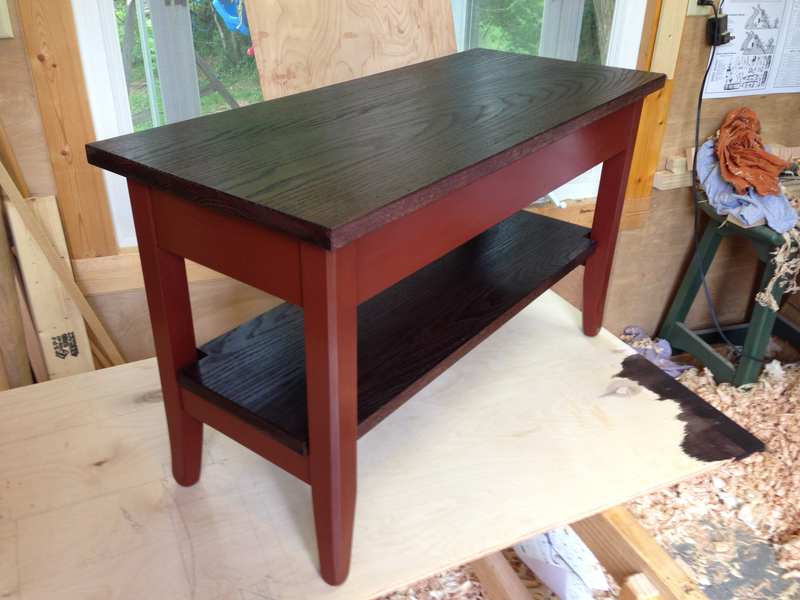 This entry was posted in Design, End Tables, Finishing and tagged finishing, table, Woodworking. Bookmark the permalink. Wow, that is a wee bit warm and the humidity is foreign to me as Colorado is semi arid, I think we melt with that much humidity 🙂 Are you on the east coast? Thanks Dave. The humidity is the worst part. It’s forecast to jump up to around 78% by 8pm this evening. There is just no way to make that comfortable. I’m new here, and I’ve been looking around for woodworking blogs, and yours is just so worth following. Nice to meet you. Welcome to my blog Maria and thank you for the kind words. I hope you find what I post on here useful or at least entertaining.